Jim Ross and William Regal are on commentary again. Summer Rae is our ring announcer. 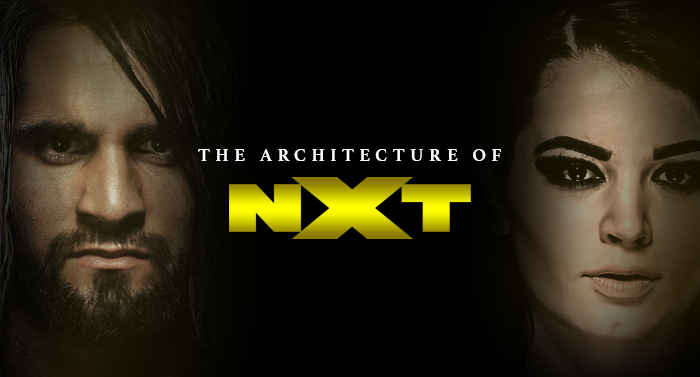 Briley Pierce interviews Seth Rollins atop the stage, who promises to turn NXT upside down and change the world. The tron gives away the interruption with a Jinder Mahal graphic. HE stares down Seth on his way to the ring. VIGNETTE ~ Leo Kruger is from South Africa and he’s coming. VIGNETTE ~ We see Ricky Steamboat get inducted into the WWE Hall of Fame and footage of him with his baby son in the 80’s. That baby grew up to be Richie Steamboat and he’s coming to NXT. VIGNETTE ~ Antonio Cesaro is a seductive presence. RAW REBOUND ~ During a Chris Jericho vs. John Cena match, Big Show ran in and attacked Cena. VIGNETTE ~ Another great Bray Wyatt video airs. Overall: 3.5/10. Week two of the Full Sail era sees a dip in quality. The show moves along quickly, which helps make sure it isn’t boring. However, with so many matches crammed in, nothing gets time to breath and what does get a decent amount of time is not good. Guys that should’ve gotten more time to shine (Rollins, Kruger and Cesaro) got less than two minutes each while Mahal and a bad main event got more.